The Daily Briefs are a comprehensive update of current affairs for the day. If you’d like to receive updates for current affairs every day, you’ll need to subscribe by entering your email address at the right side of this page. The previous Briefs can be accessed at the archives here. You can thank Sayan Bhattacharya in the comments below for this brief! Also, check out our test series! ‘Prakash hai to vikas hai’ Scheme was recently launched by the Uttar Pradesh government, a free household power connection scheme for the poor in the state. It was launched to mark former prime minister Atal Bihari Vajpayee’s birthday i.e. on the occasion of Good Governance Day (25 December). The Uttar Pradesh government has signed Memorandum of Understanding (MoU) with South Korea on to enhance cooperation in the field of tourism, skill development, culture and farming. The Union Ministry of Environment, Forest and Climate Change has launched pilot project ‘Blue Flag’ to develop and enhance standards of cle anliness on on beaches. 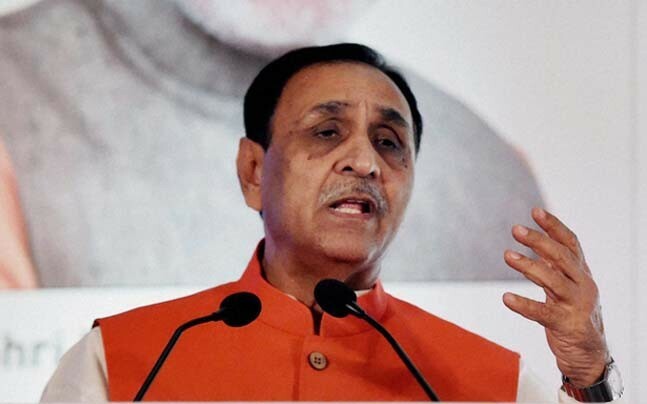 Vijay Rupani (61) was sworn in as the 16th Chief Minister of Gujarat. Besides him, Deputy Chief Minister Nitin Patel and 18 other ministers (9 in cabinet rank and 10 MoS) also took oath. The Union Ministry of Home Affairs (MHA) has directed all NGOs, individuals and business entities receiving foreign funds to open accounts in any of 32 designated banks, including one foreign, within a month. The MHA order comes in exercise of the powers conferred under Foreign Contribution (Regulation) Act (FCRA), 2010. The Union Ministry of Corporate Affairs (MCA) is going to roll out Condonation of Delay Scheme to provide a three-month window for defaulting companies and their director to submit their annual filings. It is expected to come as a relief for disqualified directors and only bona fide directors will benefit from the proposed scheme. The Union Government has drawn up action plans for backward district programme to improve socio-economic profiles of 115 identified “most-backward” districts including 35 affected by left-wing extremism. The action plans aims at providing these districts basic services like healthcare, sanitation and education as well as basic physical infrastructure like roads and drinking water supply in a time-bound manner.